In the fall of 2010, Jia Li arrived at Cannon School not sure what to expect. She was alone, uncertain, and quiet. All of that eventually changed. 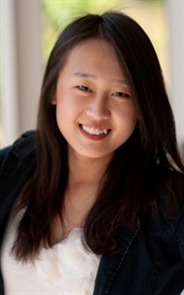 Li, who chose Yimo as her American name, quickly immersed herself in life at Cannon. She studied hard, practiced her English, and even auditioned for roles in a few Cannon Theater Company productions. According to Li, the success she found at Cannon was due in large part to her relationship with her American hosts – Dr. Matt Rush, head of Middle School, and the Rush family. Matt and Lacy Rush moved to Concord with their children – Michaela ’19, James ’22, and Katherine ’25 – from Virginia four years ago. Matt is Cannon’s head of Middle School and assistant head of school. Lacy teaches French and is the local coordinator for an international student placement agency. Looking back, Lacy recalls how the decision to host Li came about. But the Rushes didn’t stop at green, leafy vegetables! Lacy Rush feels fortunate that her family had the opportunity to host Li in their home. “At the time, our kids were ages three, seven, and nine, so we just told them we were getting a new sister for the next year and they were really excited,” she recalls. Because Li was a junior at the time, and wanted to apply to college in the United States, Dr. and Mrs. Rush took on the added role of helping her with the college application process – not something host families typically sign up for. “The college search was a place where we had to guide her a bit more with respect to all of the details,” Lacy says. “At the same time, however, she allowed us to go through the college search process as parents, well before we have to do it with our own firstborn. Li is quick to express her appreciation to the Rushes for the respect they demonstrated toward her and her culture throughout her time with them. She does, though, want to clear up one misperception about Chinese customs. The incident with the oranges aside, Li and the Rush family turned out to be a great fit. So much so, that when the time came to decide where she would live during her second year at Cannon – her senior year – very little discussion was needed. Drawing on her firsthand experience as an international student at Cannon, Li shares what she thinks are the most important things a host family can do to support a student in their home. Lacy Rush agrees. She and Dr. Rush made a deliberate effort to articulate their expectations clearly. So, having welcomed Li into their family for two years, what happens now that she has graduated and returned to China for the summer? “Yimo will attend college in the fall at University of California, Santa Barbara,” Lacy Rush explains. “We plan to see her every year at Christmas at the very least and she will still join us for family vacations.” Until then, though, Li still plans to find ways to stay in close touch with the Rush family. “Now we still write ridiculously long e-mails to each other,” she says. Each year, Cannon School enrolls ten international students in the Upper School. These students typically come to the United States for a one-year “American experience.” In some cases, though, students will stay through graduation – usually with the intention of enrolling at an American college. International students live with Cannon School families (or friends of Cannon School families) who generously open their homes to visiting students in return for an amazing cultural experience. If you are interested in hosting an international student in your home, please contact Cannon School’s Admission Office at 704-721-7164.